Henry J. Aultman designed the Autlman Steam Carriage. He may have been working in Cleveland, OH as early as 1898 on a steam carriage, but the Aultman was produced in Canton, OH. 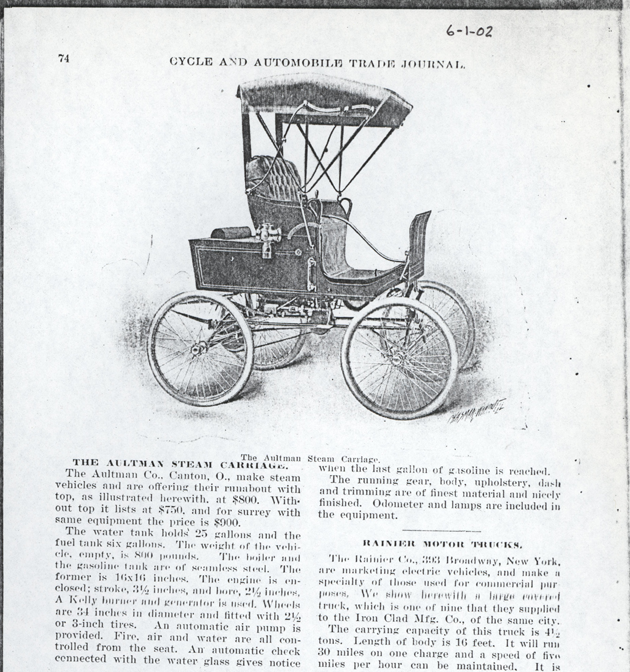 Henry J. Aultman's Aultman Steam Carriage appeared on page 74 of Cycle and Automobile Trade Journal in June 1902. John A. Conde Collection. John Conce's File Folder. John A. Conde Collection. Contact us if you have additional information about the Aultman Company, or Henry J. Aultman, or if you have questions.